Have you ever made a long-distance move? If so, you know how stressful it can be, especially if you’re moving on a budget. Professional movers can save you some stress, but they’re expensive. HomeAdvisor reports that a typical long-distant move costs around $1,000 per room. You’ll also pay around 50 cents per pound for your stuff. The more stuff you have, and the further you’re moving it, the more it will cost. Moving scams happen so often that there’s a thriving website called MovingScam.com that keeps track of all of the unscrupulous movers and scammers out there. So, how can you identify a rogue mover? Let’s take a look. 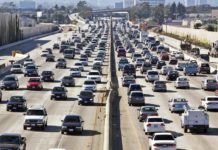 According to The New York Times, three million people move across state lines each year. While this may sound like a lot, the rate at which Americans are moving is at a historic low. The U.S. Census Bureau reports that only 11% of people moved in 2016. This includes both local and long-distance moves. Typically, this rate hovers around 20%. When you’re moving across town, it’s not as critical to make sure every single item is packed carefully in a sturdy box, since you can move delicate items back and forth in your car if you need to. When you’re moving long-distance, your things will be rattling around in a moving truck for days, so everything has to be packed securely. You’ll spend more time packing for a long-distance move, as well as spending more money on packing materials like boxes and bubble wrap. HomeAdvisor estimates that people moving cross-country spend an average of $500 on moving supplies alone. You also have to think carefully about decluttering or downsizing before a long-distance move. Moving companies have different approaches when it comes to estimating volume and costs. Some charge a moving fee in addition to a “per pound” fee. Others charge based on how much time they think it will take to move your stuff, then add on fuel and truck charges based on how far you’re moving. In the end, the more stuff you have to move, the more it will cost you. You might not consider the possibility of losing some of your things. After all, everything is packed up in boxes and loaded into one truck that leaves immediately for your new home. How could anything get lost? Lost items can happen even with the most reputable companies. A long-distance moving company might use one truck for two separate moves, and some of your boxes might accidentally get unloaded at someone else’s house. A truck might break down along the way and the entire contents have to be unloaded onto another truck (or several) to finish the trip. Or unscrupulous movers might decide to take home a box or two to see what’s inside. Whatever the reason, a lost box happens more than you might expect. My parents have moved across the country many times for work, and every time they’ve arrived at their new home, they’ve discovered missing boxes and sometimes even missing furniture. During their latest cross-country move, the movers somehow lost all of the cushions to their couches, in addition to several boxes, and they never found any of it. If you’re moving from, say, Seattle to Charlotte, it will take several days for the moving company to arrive with your items. That means you’ll have to spend several days traveling slowly with the moving truck, spend time with friends and family, or stay in a hotel until you can move into your new home. If you’re traveling with kids, this transition time can be especially stressful. President Moving Company is one of the most complained-about moving companies in the Better Business Bureau’s system; over a span of four months, they received 61 complaints nationwide. Customers lost an average of $3,200 with this company. Bryan Jones, a retired U.S. Navy service member, said that President Moving Company first quoted him $2,700 to move his items from California to Washington, D.C. Once everything was loaded onto the moving truck, the company demanded an extra $4,000 for “extra items” (of which there none). As of January 2018, five months after Jones’s items were loaded onto the moving truck, they had still not been delivered, even after he paid the additional $4,000 fee. Unfortunately, stories like this are fairly common. But the good news is that rogue movers often display the same red flags. Once you know what to look for, you’ll be able to spot an unscrupulous company and avoid them. Some moving companies will ask for a deposit, especially if you’re moving across the country during their busy season of May through September. This deposit is usually $200 to $500, so be wary if a company asks for a deposit considerably higher than this amount. If they ask for that deposit in cash, run the other way. Cash can’t be tracked, so an unscrupulous mover could pocket your deposit and then claim you never paid anything. If you do pay a deposit, make sure the cancellation period is clearly defined in the contract so you know the cutoff date to get your money back if your plans change. Avoid any moving company that doesn’t ask for an on-site inspection of your items. 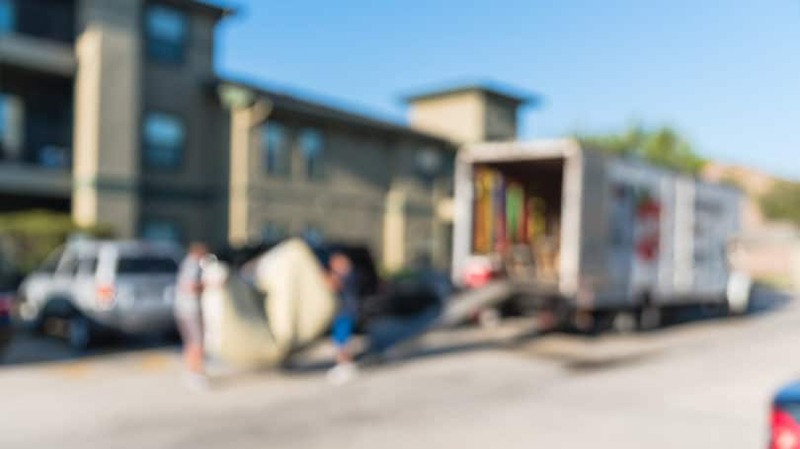 A moving specialist has to be able to see what you have, and what it might weigh, so they can accurately assess the total weight and the size of the truck needed to handle the volume. Rogue companies often quote through email or over the phone, resulting in quotes that are lower than reputable companies’. Never move with a company that hasn’t sent a representative to your home and provided you with a written and detailed estimate. Contact Information. This includes 1) the moving company’s name and address, or the motor carrier’s name and address; 2) your name and address; and 3) the name and address of any other carrier participating in the transportation of goods (e.g., a motor carrier or air, rail, or ship service). Payment Information. This includes the form of payment to be collected upon delivery, which must be the same form of payment listed on your estimate, as well as the terms and conditions of payment. It must also state the maximum amount you will be required to pay upon delivery. Pickup and Delivery Dates. There are two types of service that may be listed here: non-guaranteed and guaranteed. For non-guaranteed service, the BOL will outline a specific date or period for pickup and delivery. For guaranteed service, the BOL will list the specific dates of pickup and delivery as well as the penalty or entitlements due to you if those dates are missed. The actual date of pickup must be filled in on moving day. Truck Information. The ID numbers of any trucks transporting your items must be included. Proof of Insurance. This is applicable only if you’ve obtained independent, third-party moving insurance for your valuables. Released Rates Valuation Statement. This document, required by the Surface Transportation Board (STB), protects the mover and limits their liability for lost items to 60 cents per pound. The BOL must also list the charges, if any, for optional valuation coverage. All Attachments. The BOL is only one of the documents a mover must provide to you; you should also receive an Order for Service and an inventory list. Your original estimate must be attached too. Always keep these documents with you; never pack them on the moving truck. Rogue companies might ask you to sign incomplete documents. On moving day, go through every document to make sure it’s filled out with accurate information, especially when it comes to pricing, which should match the pricing listed on your estimate. You also need to make sure there’s no language releasing or absolving the mover (or its partners or agents) from liability. If anything on your bill of lading is missing or dubious, don’t sign it. Moving companies are also required by federal law to provide you with two other pieces of documentation when they arrive to do your estimate: the “Your Rights and Responsibilities When You Move” handbook and the “Ready to Move” brochure from the Federal Motor Carrier Safety Administration (FMCSA). If you don’t receive these publications, show the estimator to the door. The movers have just pulled into your driveway to start loading up your things. But instead of driving a big truck with their logo and contact information on the side, they’re driving a Penske rental truck. Rogue movers might not invest in their own moving truck, or they might opt to drive delivery trucks that are unmarked. If your movers don’t have their own trucks, consider canceling the deal. If a mover claims their insurance will fully cover all of your goods for no additional fee, that’s a lie. No moving company has insurance for this. They have to carry two forms of liability insurance: one you don’t have to pay for (released value protection) and one you do (full-value protection). Released value protection is set by the STB at 60 cents per pound. That means you’ll receive 60 cents for every pound of stuff the moving company loses, whether they lose your middle school journals or the small Picasso you had in the dining room. While both might be priceless in different ways, you’ll get the same amount if they’re lost. Released value protection is offered at no additional charge. Full-value protection means the mover is responsible for the full replacement value of any item lost or damaged during shipment. It covers items of “extraordinary value,” or items worth over $100 per pound, such as jewelry, china, furs, and antiques. To qualify for full-value protection, every item of extraordinary value must be listed individually on the shipping documents, or you won’t be reimbursed if it’s lost or damaged. The cost of full-value protection varies with each company. Before you sign up for full-value protection, check your homeowners insurance policy to see if you’re covered for a move. Read the fine print on the mover’s insurance documents carefully; most moving companies state that they’ll try to repair an item first, then reimburse you for its replacement value if they can’t fix it. Usually, this replacement value is less than what you paid for the item. A mover might also try to sell you separate liability insurance using a third-party affiliate. These policies are just like your home insurance policy; you’ll pay upfront and then have to pay a deductible if you file a claim. Bear in mind that third-party affiliates are partners with the moving company, so they might not have your best interests at heart. It’s best to do your own research and find moving insurance through an independent contractor. Moving insurance is regulated at the state level, not the federal level, and each state allows different things. In some states, moving companies aren’t allowed to sell moving insurance at all. You can find out more about what your state allows at the FMCSA’s list of State Movers Associations. There are great moving companies out there; you just need to do some research to find them. Here’s how. Referrals from people you know and trust are the best way to get started finding a reputable moving company. After all, your friends and family will tell you if they had a bad experience and steer you elsewhere. Ask people you know, including people within your social network, which moving companies they’ve used in the past and what their experiences were like. Once you have a list of companies, research each one online. Make sure the company’s website provides complete contact information, including a physical address and a working phone number that connects you with a customer service representative. Always call this number to make sure it works and pay careful attention to how the company answers the phone; if they sound unprofessional or vague, it might be a “fly by night” operation. Your next step is to make sure your interstate mover is registered with the Department of Transportation (DOT) and the FMCSA. The information you find on these sites will tell you exactly what type of service the company provides: carrier, broker, or freight forwarder. It’s important to understand the difference so you know what will happen to your possessions should you hire them. A carrier is a company that handles your items from start to finish. A broker is a middleman; they deal with you directly but hire a separate company to move your items. Sometimes, you won’t know which company this is until moving day. A freight forwarder moves your items onto their truck but might transfer these items to another carrier in transit. They also might consolidate your items with someone else’s along the way to increase efficiency or cut costs. You’ll also want to find out if a company has adequate insurance. This information should be on their website; if it isn’t, you can find this information by calling the FMCSA at 202-385-2423. You can learn a lot from reading about other people’s experiences. Websites like MyMovingReviews.com, HomeAdvisor, and Angie’s List compile reviews from past customers. 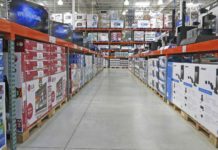 You’ll also want to check out companies through MovingScam.com. If you run into problems with your moving company and they seem reluctant to resolve the issue in a timely manner, file a complaint with the FMCSA. While this might not result in immediate action, the FMCSA uses the volume of complaints to decide whether or not to investigate a company and file legal action. You should also pay careful attention to the rules and laws for filing a claim against a moving company. According to the STB, homeowners must wait nine months from the date of delivery to file a claim. That means that if a moving company loses your stuff, they have nine months to either find the items or reimburse you for your loss. If they haven’t resolved the issue within nine months, you’re free to file a claim against them and possibly pursue legal action. Unfortunately, moving fraud is all too common. There are plenty of horror stories online from people who have had their possessions held hostage until they pay more money, or found that boxes of family heirlooms or valuables came up missing on move-in day. The good news is that rogue moving companies often play the same old tricks, so once you know what to look for, you can avoid them and save yourself a lot of headaches. Have you ever made a cross-country move? What was your experience like? Have you ever come across an unscrupulous moving company?